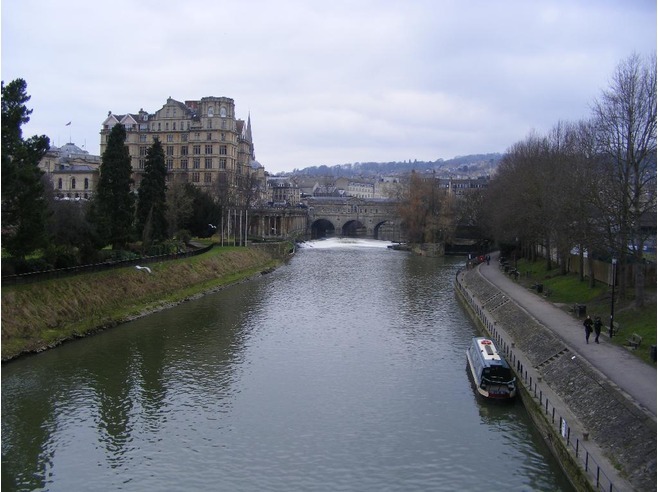 We believe that the Council is considering this step due to its ownership of riparian land on the River Avon between Pulteney Weir and Widcombe basin. BaNES refused to provide the report in response to a Freedom of Information request, citing “legal advice privilege” under Section 42 of the Freedom of Information Act. The Council confirmed however that “the matter to which this request relates is still open and on-going”. Boats have moored for temporary periods on the Avon between Widcombe and Pulteney Weir for many years. This stretch of the river has never been owned or managed by BW or CRT and no licence is required to navigate on it. BaNES has attempted to collect mooring fees but lacks powers to enforce these. Last summer a number of boats occupied the river bank at Pulteney Weir and the Council served eviction notices in October 2013. The Council carried out an Equality Impact Assessment (EIA) of the proposed eviction having assessed the welfare needs of the boaters, as it is required to do due to its obligations under the Housing Act 2004 regarding the eviction of travellers and in order to comply with the Equality Act 2010. In the EIA, the Council stated that “The intention is to remove all boats from the area at least until a permanent solution is achieved which may involve bye-laws to control all moorings” and “this is a new consideration of the introduction of policies, processes and procedures including bye-laws to restrict mooring on Council owned water and Council owned land between Pulteney Weir and Widcombe Basin”. It must be noted that the Council owns all of the river bed due to its ownership of land on both banks of the river. However, contrary to its statement in the EIA, it does not own any of the water in the river. Ownership of a river bank means that the landowner also owns the river bed to the centre, but this never includes ownership of the water in the river. Predictably the Council used accusations of “possible discharging of human waste/ sewerage into the water course; examples of uninsured and unlicensed boats – some were found to be at risk of sinking or potentially discharging fuel into the water course” and “littering and debris left behind by unauthorised boats” to justify the eviction. Such accusations are routinely levelled against all communities who are the victims of prejudice. A boater made several requests to BaNES Council for evidence to support these allegations but the Council could not provide any. The Council’s EIA also stated that “notably, some boat dwellers raised further issues not covered in the needs assessment ie health and safety issues with inadequate places to exit the water in the event of accident” and proposed taking advice “from ROSPA re access and emergency egress from boats and from the river itself”. Most of the boaters moored at Pulteney Weir left during last winter’s floods. BaNES Council has now closed the moorings at the sports ground with a bund that prevents boats getting close enough to the wall to tie up. It has declared its intention to make safety improvements and install electricity hook-ups; presumably in return for a hefty daily mooring fee that it will enforce using bye-laws. Due to the closure of these moorings, CRT has “temporarily” changed the mooring time limit on the K&A Canal between locks 10 and 11 of the Bath flight from 14 days to 48 hours. Boats wishing to moor at Pulteney Weir are directed to lock 10. This loss of 14-day mooring space, which is already limited in Bath city centre, has made life more difficult for liveaboard boaters without home moorings . This entry was posted on Monday, August 25th, 2014 at 4:55 pm	and is filed under FOI Act requests. You can follow any responses to this entry through the RSS 2.0 feed. You can skip to the end and leave a response. Pinging is currently not allowed.